Here I am again with another bargain!! I don’t mean to brag but I was so thrilled with my latest find, I just had to share it. 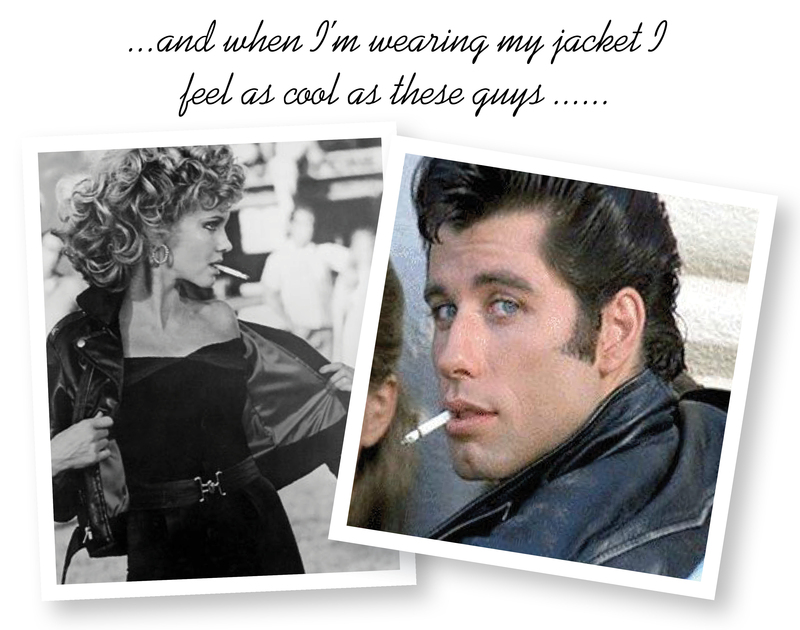 I had been looking for a biker jacket for ages and there are of course, loads to be found on the high street and online etc. I like to shop around and get the best value for money, and I don’t like to spend a fortune on clothes. So when I was in my local shopping centre at the weekend, I came across this little gem for only £10!! 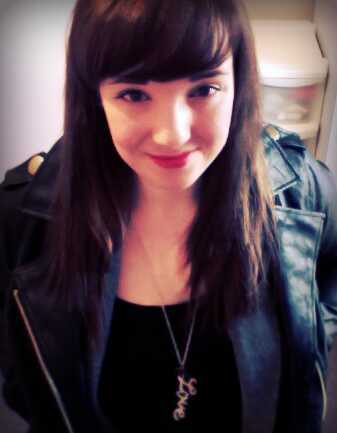 Now I have a cool new jacket without doing any major damage to my bank balance! 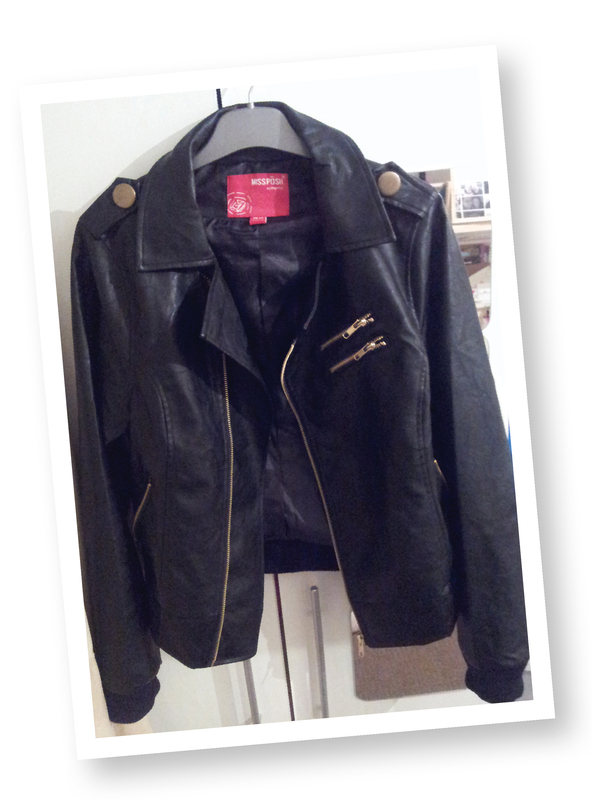 This entry was posted in Bargain of the week and tagged bargain, biker jacket, danny zucco, fashion, grease, shopping. Bookmark the permalink. 3 Responses to Faux leather, but a genuine bargain! !